A father and his young son walk alone through burned America, heading slowly for the coast. Nothing moves in the ravaged landscape save the ash on the wind. They have nothing but a pistol to defend themselves against the men who stalk the road, the clothes they are wearing, a car... read full description below. 'The first great masterpiece of the globally warmed generation. Here is an American classic which, at a stroke, makes McCarthy a contender for the Nobel Prize for Literature' - Andrew O'Hagan. A father and his young son walk alone through burned America, heading slowly for the coast. Nothing moves in the ravaged landscape save the ash on the wind. They have nothing but a pistol to defend themselves against the men who stalk the road, the clothes they are wearing, a cart of scavenged food - and each other. 'McCarthy conjures from this pitiless flight the miracle of unswerving humanity. Gripping beyond belief' - Chris Cleave, Sunday Telegraph . 'One of the most shocking and harrowing but ultimately redemptive books I have read. It is an intensely intimate story. It is also a warning' - Kirsty Wark, Observer Books of the Year . 'A work of such terrible beauty that you will struggle to look away. It will knock the breath from your lungs' - Tom Gatti, The Times . 'You will read on, absolutely convinced, thrilled, mesmerized. All the modern novel can do is done here' - Alan Warner, Guardian . 'A masterpiece that will soon be considered a classic' - Herald . 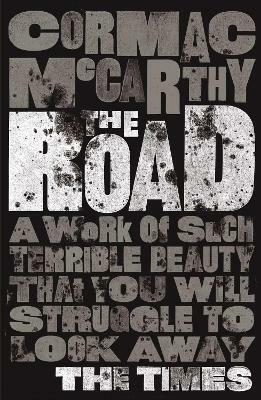 'McCarthy shows that he is one of the greatest American writers alive' - Times Literary Supplement . Cormac McCarthy is the author of nine previous novels, and among his honours are the National Book Award and the National Book Critics Circle Award.